Speaking of Gully Boy world premiere at Berlinale, Zoya Akhtar said: "From the beginning, they were clapping at entries." Director Zoya Akhtar says the buzz around her film Gully Boy, which had its world premiere at the Berlin International Film Festival, has been beyond expectations and now she hopes to live up to the hype surrounding the film starring Ranveer Singh and Alia Bhatt. The reviews after the packed Berlin premiere have been welcoming for the film, which revolves around an up and coming rapper from a Mumbai slum. "It was a crazy experience. It was an 1,800 seater and the screen must have been 70-80 feet. I have never seen my film projected on such a large screen. From the beginning, they were clapping at entries, whistling through songs, gasping at things that upset them and completely silent in the serious moments. It was a very emotional moment and complete joy," Zoya told PTI in an interview. Cameron Bailey, Artistic Director, Toronto International Film Festival shared on Twitter that he had never seen such a response for any movie at Berlinale in past two decades. "Watched the Gully Boy world premiere tonight in a packed house with Ranveer Singh, Alia Bhatt and Zoya Akhtar present. Biggest cheers I've heard in 20+ years at the Berlinale," he wrote alongside a picture of Ranveer meeting the audience post the premiere. 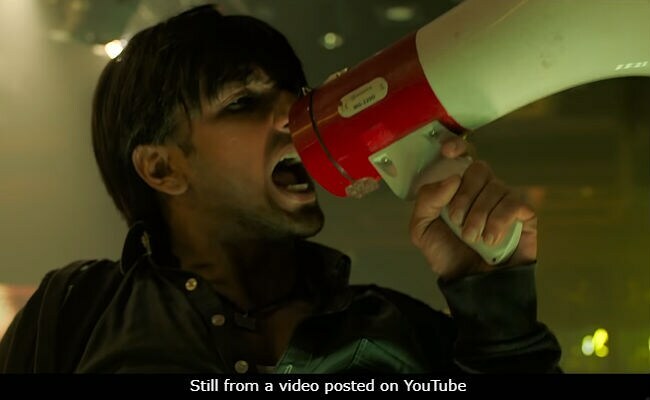 Ranveer performed an energetic rap on film's track Apna Time Aayega at the screening and had a "memorable" night.